With our Prestwick airport hotel family rooms the whole family can get a smooth start to their holiday, without the hassle of a hectic departure morning. Our Prestwick airport hotels have special rooms designed to cater to the unique needs of a family so you can all enjoy your stay together and in comfort. Its a superb way to ease into your holiday by avoiding the early start and making some family holiday memories before you even fly. 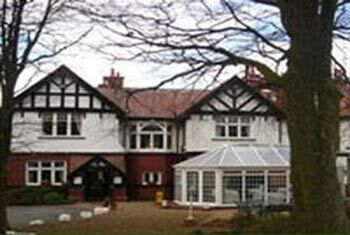 At Prestwick airport the Manor Park Hotel is our family friendly hotel. Its a 3-star hotel set in idyllic woodlands and still only a short transfer from Prestwick airport. There are two options when it comes to family rooms. We offer rooms of four which consist of a double and two single beds and a family room of five which has a double and three single beds. All the rooms come with satellite TV to keep the kids entertained and, if you want to wear them out before the flight, Manor Park also has a large outside playground complete with BBQ and plenty of surrounding woodland to enjoy. Whatever your age, you certainly wont be bored at this scenic hotel. Is it possible to have a cot in our room? If youre travelling with a young child Manor Park will happily provide a cot and bedding in your room free of charge. The hotel will even provide high chairs so your family can eat together with no hassle at all. Whats more, itll save you having to cram it all in the car, making more room for sun cream and flip flops. You can contact the hotel directly to arrange this, or call our award-winning contact centre and we can sort it all out for you. The outstanding Maizies restaurant at the Manor Park Hotel opens every day for breakfast between 6.00am and 9.30am, serving continental or full Scottish breakfasts; for lunch between 11.30am and 2.30pm; and dinner is served from 6.00pm until 10.00pm. At dinner you can indulge in some traditional Scottish fare, including haggis, or opt for the equally as delicious international dishes on offer. The children will have plenty of choice too as there is also a specially developed kids menu. Everything went smoothly but hotel is in dire need of an upgrade. Pictures on Internet were most certainly not recent ones. Having said that, ithe room was clean and done the job. Staff were friendly and helpful. The hotel was lovely, staff very helpful and friendly and the room clean, spacious and comfortable. We paid to have the buffet style breakfast which was also very nice.